There are times when you need a better picture quality than your phone camera but you don’t want to spend a lot on it. That’s when you decide to buy a camera without going beyond $200. But, no matter how outdated this segment might have become; it is still a mystifying job to find the best camera under $200. But, have no worries because we’re here. Just take a peek at our list of the best cameras under $200 and order yours now. The Canon PowerShot ELPH 360 H﻿S is packed with numerous interesting features, making it the best choice for a camera under $200. The camera delivers excellent photographs with HD video capturing ability in a highly compact body. If your need is a camera with a bigger optical zoom lens then you won’t come across any other better option than Nikon﻿ Coolpix L340. The camera features 20x optical zoom lens with a dynamic fine zoom up to 56x, making you experience versatile photography. The Sony DSCWX220 is for you if you want an extremely compact camera that can be kept in your pocket all the time. The outstanding picture quality of this camera with a shooting speed of 10 fps makes it one of our favorites. 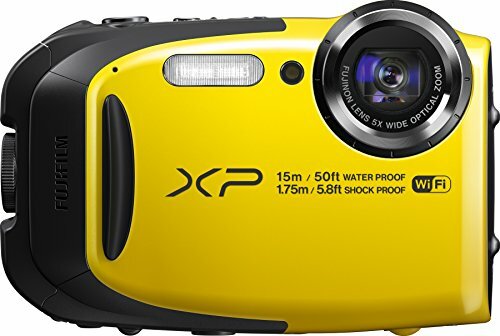 If your idea of fun revolves around water, the Fujifilm﻿ FinePix XP80 is the one for you. Waterproof up to 50 feet of depth, this camera is highly sturdy and is ideal for both over and underwater photography. 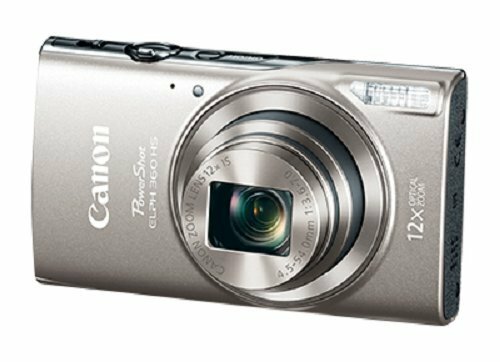 The Canon﻿ PowerShot ELPH 190 IS is a great shooting companion for all the amateur photographers. If you are looking for stunning picture quality, auto functionality, and multiple scene modes for fun photography then you must try it. Canon needs no introduction when it comes to great quality cameras. And when it comes to great quality cameras under $200, Canon still takes the lead with thePowerShot ELPH 360 HS. Featured in two different colors, black and white, the slim and sleek design of the camera in a highly compact body makes it an ideal choice for on the go photography. The camera uses a 12x optical zoom instead of digital zoom so it’s only obvious that it delivers stunning shots. The capturing power is further enhanced by the powerful 20.2 MP CMOS sensor with a DIGIC4+ image processor that give awesome picture quality even in the darker scenarios. You can see the pictures or have a live view on the wide 3” LCD of the camera. And once you are done with thecapturing, you can share them off right away through Wi-Fi and NFC. How cool! The camera also lets you record full HD 1080p videos. It also offers some unique features like Hybrid Auto that records 4 seconds of video before clicking a picture and then merges all the clips to make a video summary. It also features a creative shot mode for allowing you to play around a bit with colors. And the story highlight feature automatically makes a mini reel that is played with a soft music in the background. If you are looking for a camera that offers a high optical zoom function then we have got just the right thing for you. 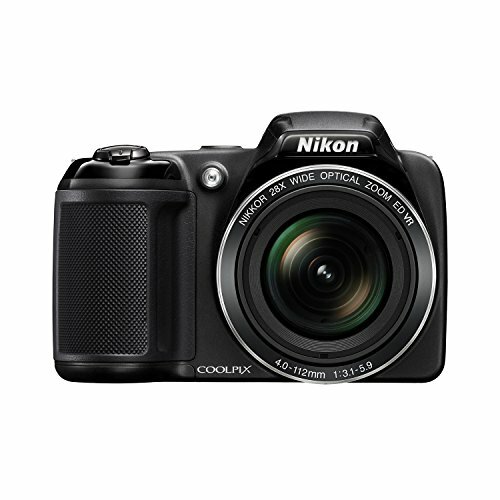 The Nikon Coolpix L340 with a whopping 28x optical zoom lens enables you to capture breathtaking images anytime anywhere. The camera also features a Vibration Reduction function that helps in achieving the most natural looking photographs. The camera uses 20.2 MP CCD image sensor that delivers high-quality images. The video capturing mode enables you to shoot High Definition 720p videos with stunning details. The body of the camera is small and compact, making its grip very comfortable while clicking pictures. The camera also boasts 16 different shooting scene modes to select from according to your situation, which makes it pretty convenient and fun to use. You can also choose the auto scene selector if you feel unsure of which mode should be chosen. Another very interesting feature of this camera is that it also offers a dynamic fine zoom which lets you zoom up to 56x, making it ideal to shoot in various situations. You thought you are not going to see Sony on the list? Well, SURPRISE! 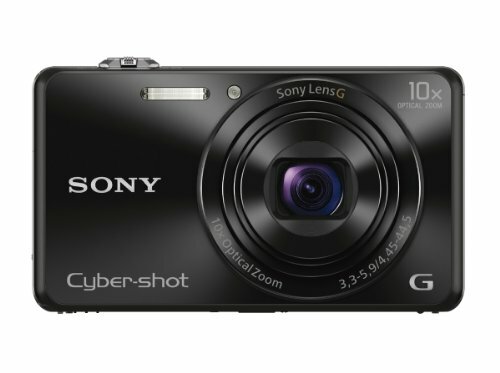 The list of the best cameras, whether high-end or budgeted, is just not possible without Sony. The Sony DSCWX220 offers you a lot in just a tiny package. The major standout point of this camera is its fast shooting at 10 fps. The HD video filming function allows you to record 1080p videos at 60 frames per second. Why should you choose it over your phone camera? Well, the answer is simple, the 10x optical zoom function. You can’t get that kind of clarity in phone cameras. The image sensor of the camera is the Exmor R CMOS with 18.2 MP resolution, which works together with the BIONZ X engine for delivering beautiful images in all kinds of conditions. You can also see your 4K images in aslideshow on your TV or monitor through the HDMI 2 cable. Other fascinating features include motion shot video, sweep panorama, and various colorful effects. For those of you, looking for a camera for underwater photography in this price range, don’t lose heart. The Fujifilm FinePix XP80 is at your disposal. Whether you are going for snorkeling or scuba diving, this camera will be your companion in every water bound activity of yours. This little sturdy beast stays waterproof up to 50 feet deep water. This camera is also freeze proof up to 14 Degrees Fahrenheit, shockproof up to 5.8ft and is even dustproof. 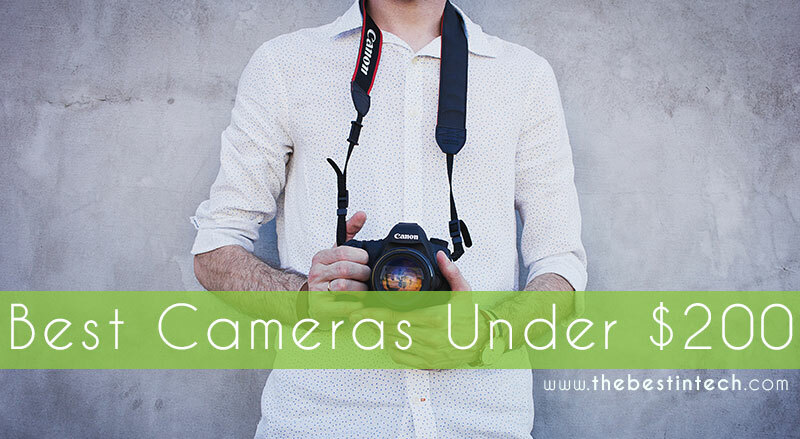 The camera features a backlit 16.2 Megapixel CMOS sensor that lets you click clear and crisp images in every scenario. The optical image stabilization also enhances the picture quality. The camera offers 10 fps shooting in the continuous shooting mode, allowing you to not miss a single thing. 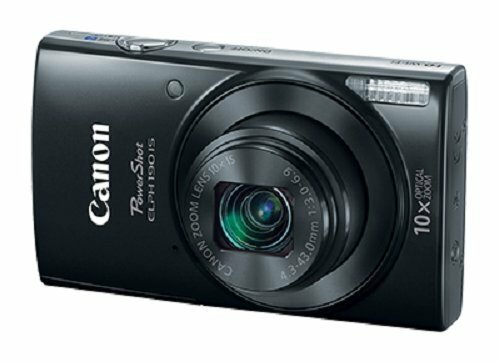 Another model from Canon is the Canon PowerShot ELPH 190 IS point and shoot camera that is an excellent option for capturing vibrant and crisp images on the go. This beginner level camera delivers adequate picture quality for all the newbie photographers in a tight budget. The camera features a 10X optical zoom lens along with an optical image stabilizer that results in providing you clearer images without any problem. The 20.2 MP CCD image sensor with a fast DIGIC4+ image processor work together to deliver stellar photographs. The camera also boasts Auto-functionality for specific shooting scenarios, making the usage easier and simpler for you. And the built-in connectivity settings of Wi-Fi and NFC let you immediately share the captured images without getting into the hassle of transferring wires. You can also shoot a high-quality 720p HD video in this camera. It also comes with some really interesting and fun shooting modes like fisheye effect, monochrome, and toy camera that make your shooting more amusing. While selecting your camera under the budget of $200, make sure to look for as many below-mentioned features as possible. The image sensor is responsible for providing you the image quality you get in the end. Therefore, it carries a key importance in the selection of your camerabecause, at the end of the day, it’s all about the quality of the picture. The majority of the cameras in this price bracket offer a small image sensor of size 1/2.3”. However, if you manage to find a camera with a bigger sensor size than this, pick that without thinking twice. You will end up having a much superior image quality with a bigger sensor. But, if you can’t find a bigger one, this one will also do a pretty decent job. The resolution of the camera also holds a great importance. The resolution is defined in the form of Megapixels. The higher the megapixels the better the expected image quality. However, it is not necessary that you always get great images with a higher number of megapixels. The iPhone cameras are a proof of it. So, keep your major focus on the image sensor. The optical zoom function results in much better images in terms of quality as compared to the digital zoom function. Try to choose the camera that offers a bigger optical zoom lens. Fortunately, these low priced cameras have been boasting some really impressive video recording capabilities lately. Many of them come with HD video recording functionality now. So, we believe you know what have got to do. If this is the only camera you’ll be using for all of your photography then you must pick a camera that features an integrated flash unit. There will be a lot of times when you will need to capture images in a darker scenario or you will need to take the camera out on a night party. If your camera won’t have a flash unit, your usage will become highly limited. Display screen makes your life much easier by giving you access to the live view or for quickly going through the pictures. We know that in this day and era, it is impossible to find a camera without a display screen, so your focus should be on choosing a display withhigh-resolution. This is not something very critically needed,however, if you can find Wi-Fi and NFC functions, that’ll be just great. Cameras within $200 are on par or even superior to the phone cameras when it comes to picture quality. That’s not the only podium where they are both competing with each other. Just like your phone cameras, these cameras under $200 also come with some additional fun features like colored filters. These features won’t have any impact on your basic photography, but they will make your experience much more fun. No one wants to get very complicated and difficult controls on their camera within this budget. One of the major reasons for buying a budgeted camera is its ease of use. Secondly, the majority of beginner level photographers choose to go for these cameras, which is why they prefer the minimalism. Therefore, a good camera under $200 will be packed with auto-functionality for making your life easier. Also, if you can find touchscreen display in this price range, the ease of use will increase to a much greater extent. As mentioned above as well, an optical zoom lens results in excellent photographs. But, it is very unlikely to find a bigger sized optical zoom lens in this budget. Generally, you are going to find 10X to 20X optical zoom in this price range in the recent models. However, you can get a bigger zoom as well if you decide to go for a bit older high-end model with a dropped down price now. If you are deciding to use this camera for a longer time period, it will be better to choose a bigger optical zoom lens. You won’t be expecting a huge bulbous camera in this price range for obvious reasons. A good camera within this price limit is always handy and small enough to fit into a handbag or pocket just like your mobile phones. Luckily, these cameras also feature highly unique and appealing designs with beautiful colors that make them even more interesting. So, whatever you do, do not give up on the style. Isn’t it just so cool to get both quality and style at the same time at such a meager price? Just because you are going to buy a cheaply priced camera, it doesn’t mean that you have to compromise on the construction quality. Well, we are not saying that you start expecting very high-end material because let’s be honest here, a budget camera can’t offer that. But, you must make sure that the one you have chosen has value for money in terms of the quality of its material. Many inexpensive cameras do offer great picture quality but their construction is so poor that a single impact can completely destroy them. So, make sure to avoid such type of cameras. f the camera you are planning to buy has all the major focus on the digital zoom function instead of the optical zoom then do not go for it. For those of you who do not know, a high digital zoom setting results in destroying the picture quality. Hence, always try to pick the one with optical zoom function. As anyone can expect, a lot of cameras under the budget of $200 offer a very poor battery life. And considering the minimal price, many people still go for them. This doesn’t have to be the case even if the price is too low. Even within this limited budget, you will find a lot of options from highly substandard to very impressive quality. If you go for a substandard one, you won’t be able to shoot even 200 pictures on a single charge. Always read the specifications of the camera carefully to find out about its projected battery life. And also keep in mind your usage, especially if you are going to use the Wi-Fi function because it rapidly consumes all the battery. Therefore, choose your camera accordingly. Finding a good quality camera under a limited budget of $200 requires a lot of patience and hard work because of your confined options. It doesn’t in any way mean that it is impossible to get a superior quality in this price range. In fact, when you decide to buy a camera under $200, you are making your way to the mix of beginner to mid-range functionality with a cool and sleek design in a compact body. The only fiddly part of this whole procedure is to narrow down the possible options. Once the options are right there in front of you, you can easily make the comparison and select the best one as per your thinking. By giving you our list of the best cameras under $200, we have made even that part easier for you. We are sure that after chewing over these options you will able to make the correct decision for yourself. We wish you well with your selection.